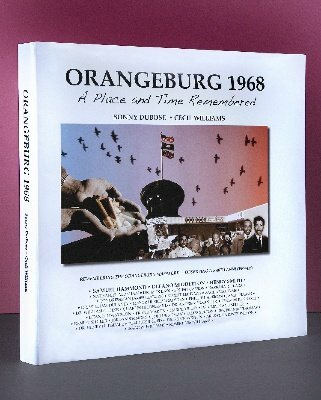 'Orangeburg 1968' documents one of the least remembered chapters of America's Civil Rights history; the Orangeburg Massacre. On February 8, 1968, over 150 students gathered on the campus of South Carolina State University to protest the segregation policies of the town's only bowling alley. Amid escalating tensions, students protested by building a bonfire on the edge of the campus. State Highway Patrolmen fired live ammunition into the unarmed group in an attempt to end the protest. Killed were Henry Smith, Samuel Hammond, both students at South Carolina State University, and Delano Middleton, a 17-year-old Wilkinson High School student. The Orangeburg Massacre was the first incident of its kind on an American university campus but it received little national attention and almost no mention in histories of the Civil Rights Movement. In producing this outstanding volume, Sonny DuBose, author of, 'The Road to Brown,' and Cecil Williams, author-photographer of 'Out-of-the Box in Dixie,' and 'Freedom and Justice, compiled interviews and photographs of living participants and observers. In addition, participants are included interviewed by Avery Research Institute, College of Charleston. Williams' exclusive and extraordinary photographs from this publication will also be featured in 10 seconds in Orangeburg, a PBS documentary scheduled in March 2008 and Black Magic, an ESPN program to debut in 2008.